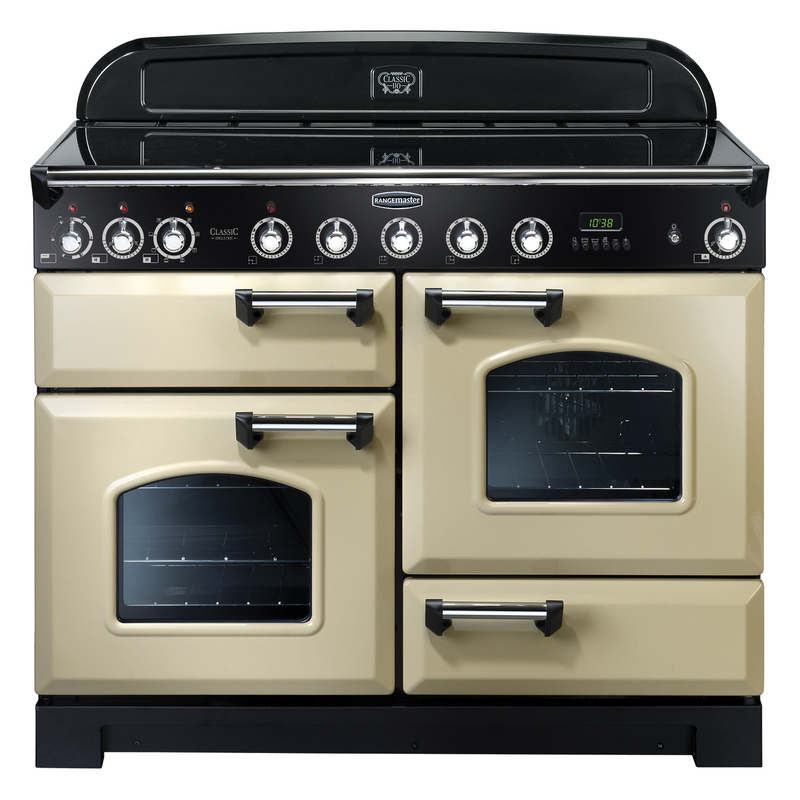 If you’re looking for a classic style range cooker, then the CDL110EICR/C Classic Deluxe range from Rangemaster is sure to tick all the right boxes. This cream 110cm model offers everything a traditional range cooker should – bevelled doors, arched windows and a handy towel rail, as well as an abundance of modern cooking functions to make cooking easier and a pleasure. With its 2 electric ovens, separate grill and a 5 heat zone electric induction hob with ‘hot hob’ indicators for safety, there’s no end to the delicious dishes you could create. The CDL110EICR/C has been awarded a desirable A/A rating for energy efficiency and it also comes with a two year parts and labour warranty as standard. Staying true to the Classic’s styling, the Deluxe 110 delivers a host of innovative, up to the minute features. Cranberry, Matt Black ,Cream 110cm and 90cm models available in either Brass or Chrome trim.